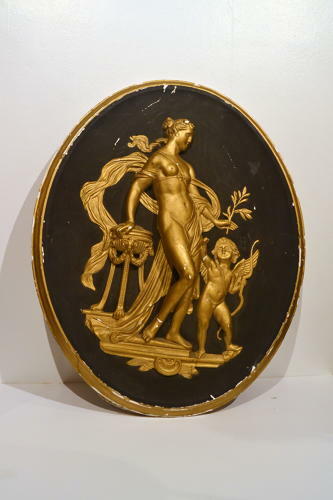 This decorative plaster plaque is thought to be French and from the Early Victorian era. It was displayed in a jeweller's shop - where it has been since the 1920s. It is in quite good condition and features two mythical figures.